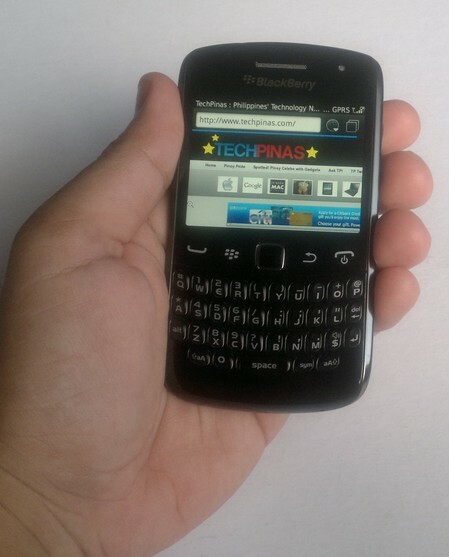 BlackBerry Curve 9360 Philippines - In the Flesh Photos! Initial Impressions! It has made it to our TP Hideout. 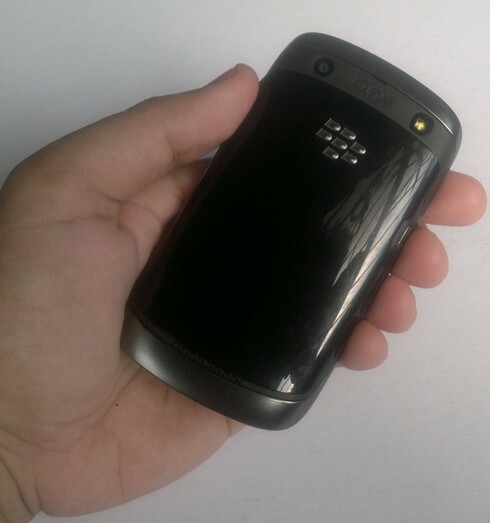 The latest iteration to RIM's best-selling Curve line, BlackBerry Curve 9360 supersedes BlackBerry Curve 9300 as the most affordable new generation BB handset on the planet as of writing. As I've earlier mentioned on TP, BB Curve 9360 - made for young consumers - is ergonomically designed with a tactile full QWERTY keyboard for fast and accurate typing and an optical trackpad for easy one-handed navigation. NFC, GPS, Bluetooth and Wi-Fi connectivity support are also included, as well as a 5 MegaPixel camera with flash at the back and VGA video recording for capturing moments and sharing them instantly on Facebook or Twitter. Also, the phone flaunts a microSD card slot, which supports up to 32 GB for additional media storage. 1. BB Curve 9360 has exactly the same footprint as BlackBerry Curve 8520 - BB Curve 8520 has dimensions of 109 x 60 x 13.9 mm, while BB Curve 9360 measures 109 x 60 x 11 mm - but the former just feels a lot more compact. I guess the almost 3 millimeters of difference in depth of the two phones really makes a lot of - well - difference. 2. Having used BlackBerry Bold 9900, I get the impression that BlackBerry 7 OS with its fast browser and smooth UI was actually made for touch navigation or is plain touch-optimized. That said, I found it a bit harder to navigate the OS' interface using only the optical trackpad of BB Curve 9360 vs. the touchscreen-trackpad combo on BB Bold 9900 (duh, of course). Then again, maybe I'm just terribly spoiled and more of a Bold kinda guy. 3. 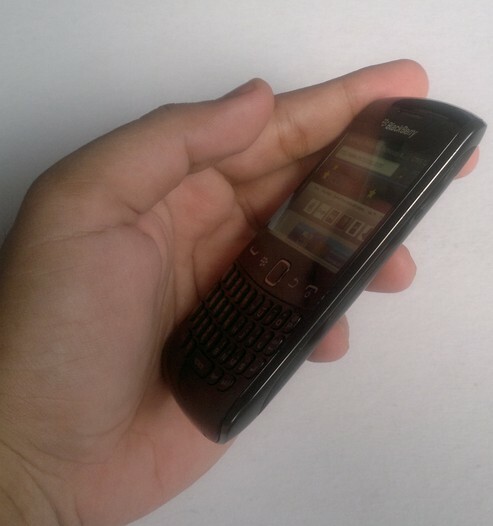 Unlike BB Curve 8520 and 9300, BB Curve 9360 doesn't have those music playback control buttons at the top that I'm sure a lot of Curve fans have grown to love. While the new BB is thinner and lighter and comes with a refreshed operating system, a slightly faster processor and borderline-luxurious metal accents, I have to admit that I'm missing those controls -- if a bit. Well, I guess something's always got to give. Anyway. Stay tuned for our full review.